Never did I ever think I would be the recipient of compliments regarding how nice my skin is. 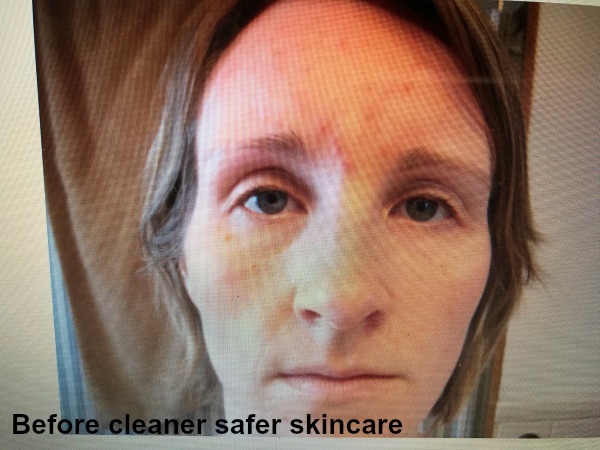 Never did I ever think I would get to share about how to heal acne scarred skin. I’ve always had acne. What’s different now is that I know my triggers. I just figured I was doomed to be the woman who would be breaking out like a 15 year old at 55. And, I tried everything. Cetaphil, St. Ive’s apricot scrub (and scrub I did–what adolescent didn’t? ), my moms Mary Kay scrubs and cleansers…if I remember correctly I think I even tried Pro-Activ once I had a credit card. The kicker was when I gave an “all natural” try and purchased an entire Aveda skincare line which made my skin soooo much worse. That was the real bummer-I love their products, and love how they smell, and looooved the idea of having great skin. For whatever reason my skin got considerably worse (can you say S-T-R-E-S-S?) after I had Fannie, our second child. The acne turned more cystic and left terrible scarring. I vividly recall applying concealer in the bathroom for the second or third time that day…and in my peripheral vision say my beautiful little girls curiously watching me. They asked why I was covering the red spots on my face. In that moment I knew something needed to shift. For the love…I didn’t even subscribe to magazines that would instill in my girls an any level of sexualization and here I am covering my face because I didn’t have any self confidence left. 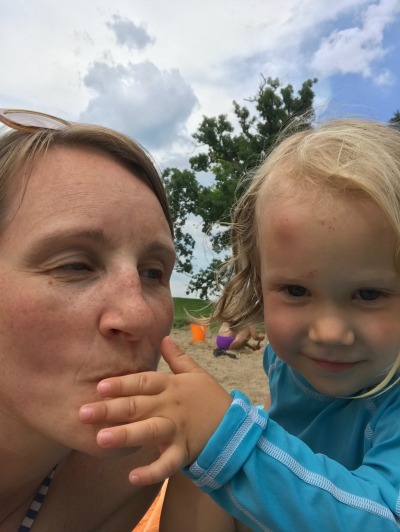 What’s funny (now) is that I had just been to a One Day Nutrition Response Testing Training (for which I’m now teaching—register HERE) to do the work for my clients, I felt scarcity and didn’t put myself on a program…until that day in the bathroom with my kids. That was over 6 years ago and my skin now has a more youthful glow than ever, despite the fact that our now 3 year old didn’t sleep for over 2 1/2 years. I’ve done several things (see below) and fully believe they have all played a part in healing my acne scarred skin. 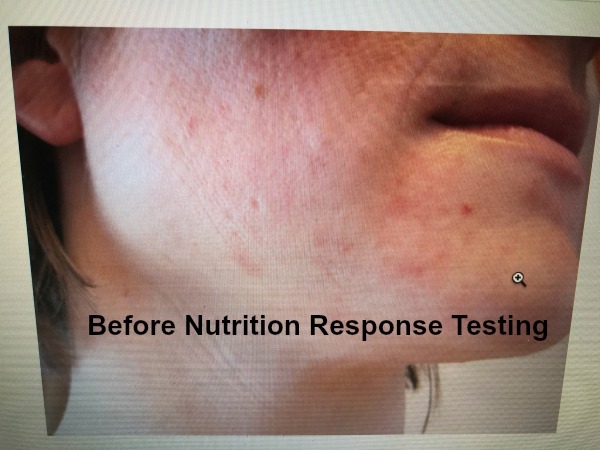 This work showed me that while daily stomach aches and cystic acne were the reasons I ended up in my practitioners office; food and metal toxicity along with bacterial and viral challenges were the underlaying causes for my ill health. I took my already-clean diet up a couple notches with guidance, and within days noticed a marked difference in that I woke up with no new cystic acne for the first time in years. I followed the protocol he recommended 100%. This included supplements (and over 6 years later I’m still on a program) drinking filtered water, avoiding all grains, dairy, and fruit for 9 months, and continued chiropractic care and bodywork. What I found the most profound were the transformational tools of Landmark Education and other mindfulness and bodywork resources such as EFT (tapping), energy medicine, Acupuncture, yoga, and Craniosacral Therapy/SomatoEmotional Release. I began consistent use of essential oils in my life. I enjoy diffusing them and wearing them. One thing my skin loved was adding a drop of Frankincense Oil (Young Living) and Manuka Oil (Young Living) to my Witch Hazel in the morning as a toner in my pre-Beautycounter days. I noticed a significant different in the youngevity of my skin when I introduced these. I was tested using Nutrition Response Testing for which product I needed, and for me it was kidney support. This is a line I test for in my office because bodies are sooo beat up these days, it’s amazing to see what people need for support to regenerate. I tell our practice members who test for them to allow 6 weeks for noticeable results to take effect. What happened for me was longer eyelashes, younger skin, and more energy. I grew up using Mary Kay make up from my moms cosmetics bag. I never owned much make up of my own, though did experiment in my 20’s and 30’s with Aveda and brands from our natural foods co-ops. My luck was always poor. My skin was so sensitive and scarred and beat up and it liked nothing. I had my last baby at 38, so gifted myself two years later with becoming a Beautycounter consultant. Beautycounter provides us with cleaner safer skincare and keeps, as a promise, over 1500 chemicals OUT of their product lines. I have never seen a company with such integrity and intention around their cosmetics and skincare. I started with the charcoal bar and mask, which was an awesome start for my skin. The first skincare line I used was their Counter Match. I loved it and still use the Adaptive Moisturizing Lotion daily, though this summer they released an acne-prone-specific-line called Counter Control, and that has worked well. A diamond in the rough here is the Overnight Resurfacing Peel. I am able to use this several times per week which would NEVER have happened with my sensitive skin in the past. My skin has healed from scarring, and so long as I keep stress in check, stick with my program, and follow the right foods for me at the moment, it’s all good over here. There’s a photo below that looks more like a mug shot—it was taken the day my girls asked what I was putting on my skin. You might be able to tell I was at one of the lowest points in my life at that time. You know those articles that keep scrolling on Facebook about taking pictures of your wife or the mama in your life? Please do it. I went into my photos to find a picture to post below….and I found one from JUNE. If I’m in any photos it’s because I’m 3/4 cut off by the kids, so have none that are just of my current non-mug shot. Previous post: How much sugar is in your kids diet?